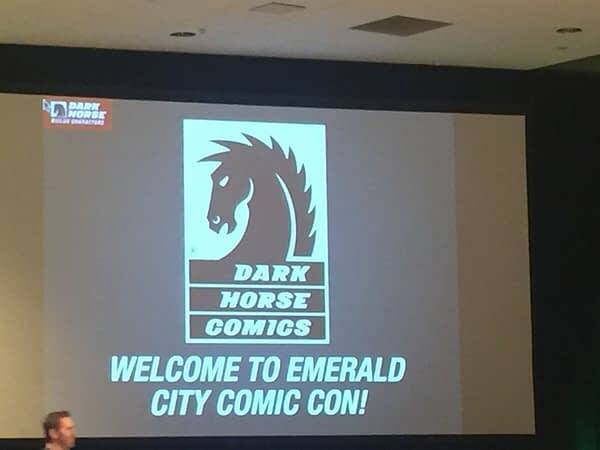 Part of an effort on behalf of Dark Horse to shoulder more of the financial risk of launching new series and volumes, Dark Horse revealed that upcoming volumes of Xerxes, Black Hammer, Ether, Blackwood, and Frozen will be fully returnable if retailers order more than 10 copies. 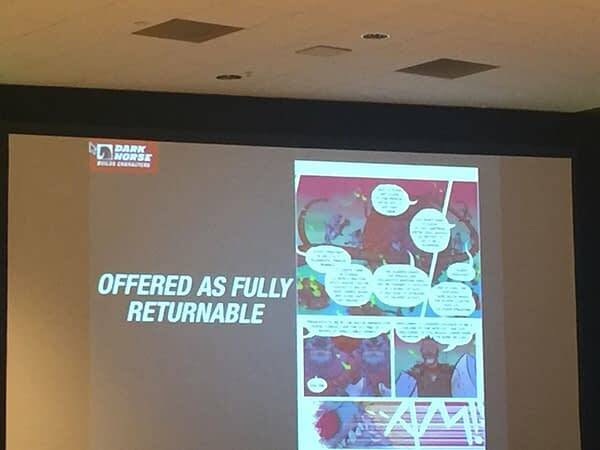 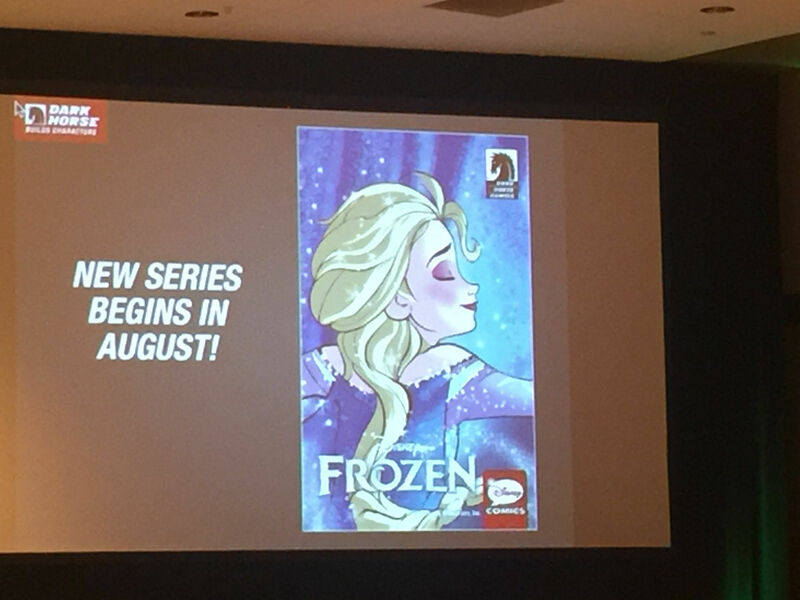 Dark Horse’s Matt Parkinson started the company’s presentation at the Diamond Retailer Breakfast by acknowledging that retailers feel there are far too many titles across the board and too many variant covers, promising to be mindful of their output and mindful of variants. 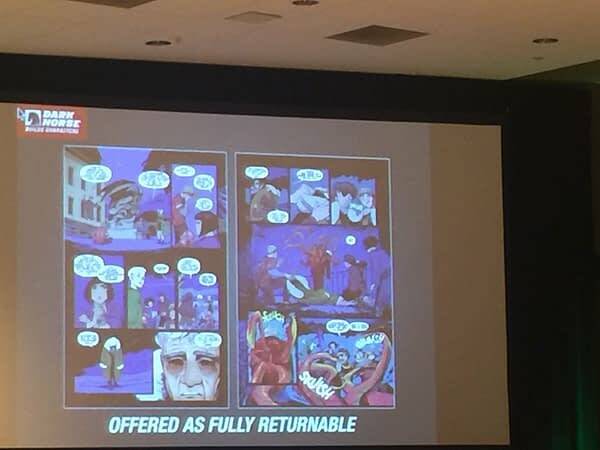 They also acknowledge complaints that publishers don’t support retailers for risk, and vowed to continue a low threshold returnability program. 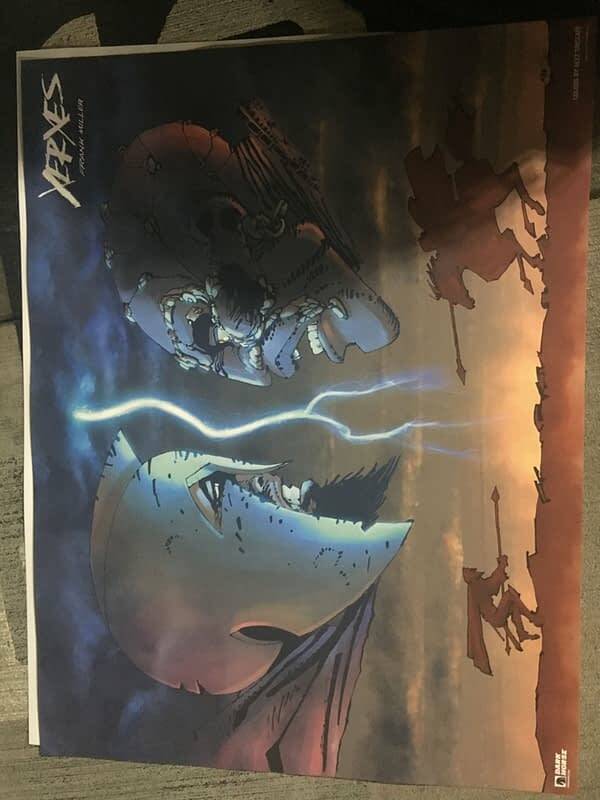 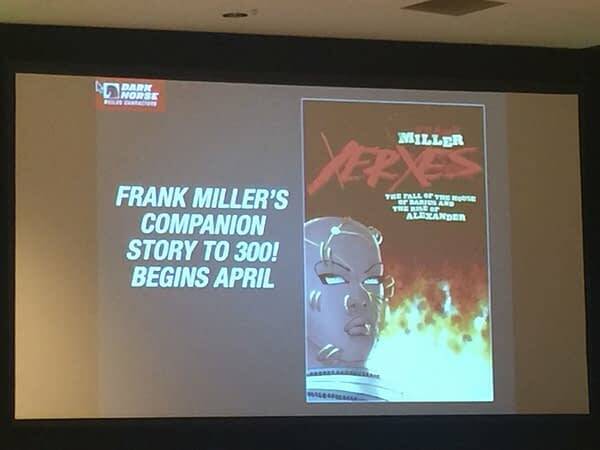 Xerxes, Frank Miller‘s 300 prequel, starts next month, said at the Dark Horse presentation. It’s also on schedule — the first few issues are done, and they are fully returnable with 10 or more copies ordered. 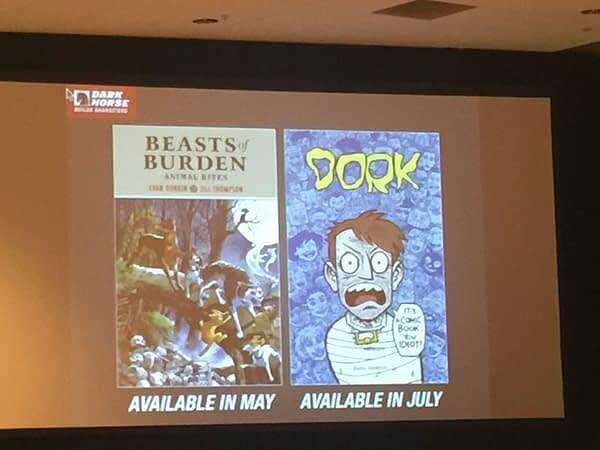 Black Hammer, back in April, will also be fully returnable under those same conditions, along with Ether Volume 2, and Frozen, coming in August. 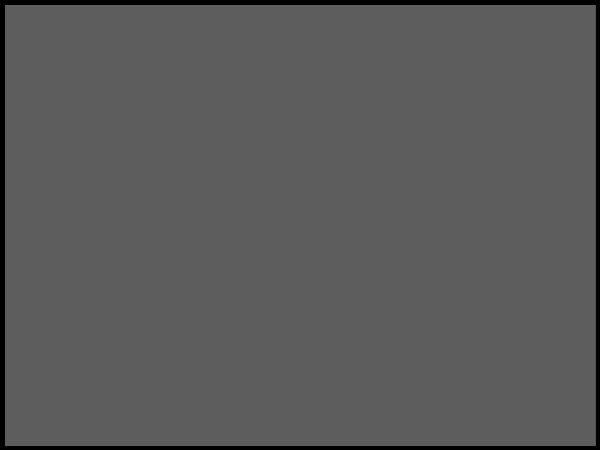 Around this time, Ian Melton noted, “many retailers leaving the breakfast before the convention begins.” Well, that’s gratitude for ya! 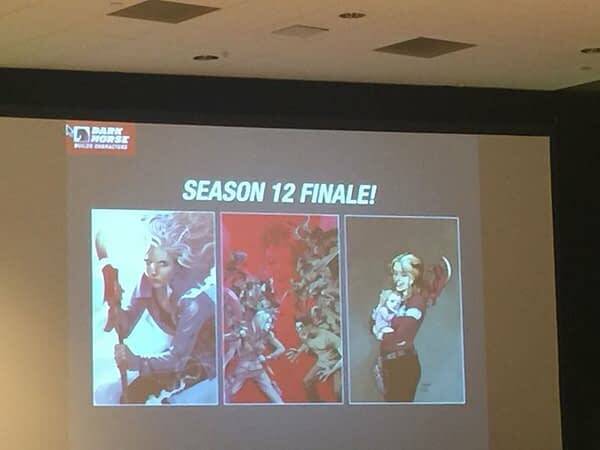 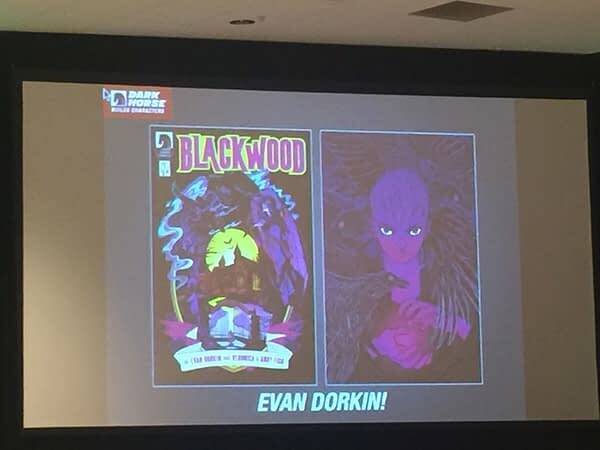 Dark Horse also talked up Evan Dorkin‘s Blackwood, billed as a “Harry Potter magician school-like murder mystery,” along with the new Avatar: The Last Airbender comics featuring Team Avatar from Faith Erin Hicks and Peter Wartman, and Buffy Season 12, which will be the finale for the “season” format of Buffy the Vampire Slayer comics. Dorkin will also be doing more projects at Dark Horse, including Dork collected in hardcover for the first time. 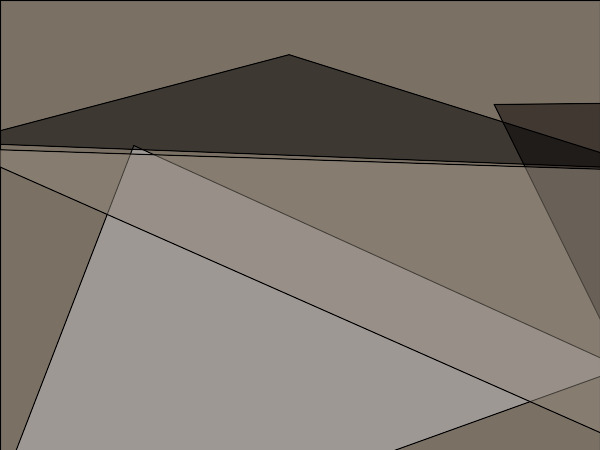 It was previously revealed that Blackwood would also be returnable. Dark Horse also had time to boast a bit about sales, touting nearly 1 million copies of Zelda: Hyrule Historia sold. 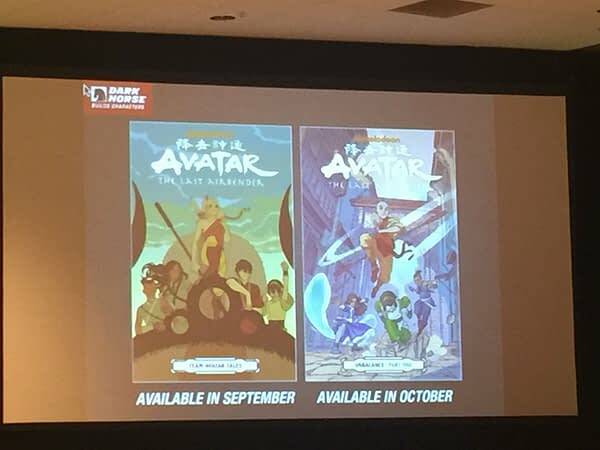 Art and Artifacts was the bestselling book in America when it was launched last year, and the Super Mario Encyclopedia is coming in October. 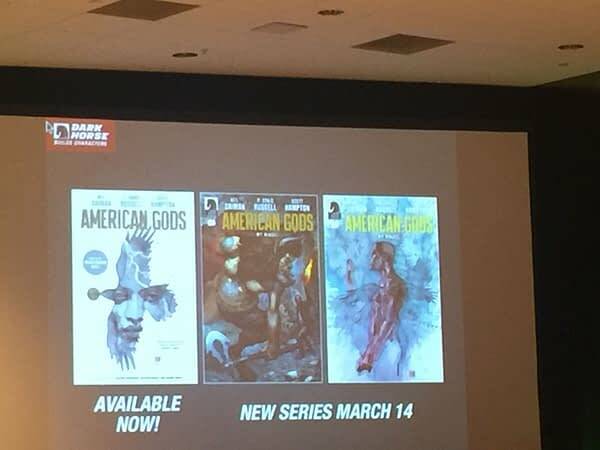 Stick with Bleeding Cool for live reports from ECCC all weekend!